Beautify a small glass jar by gluing twigs onto it and use it as a candle holder! Follow the tutorial on the source to create this idea. 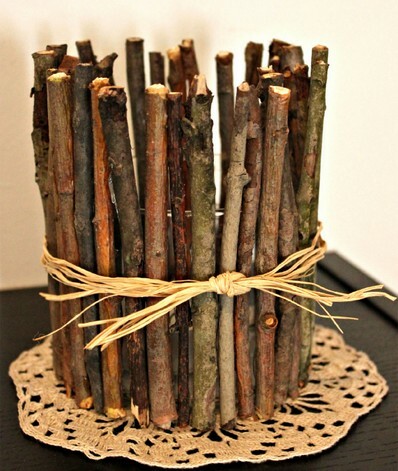 See a tutorial for this idea with the twigs spray painted gold. See a tutorial for this idea using aluminum cans instead of glass jars and attaching the cans on candlesticks. See a tutorial for this idea with the twigs attached to the base of a paper cup.